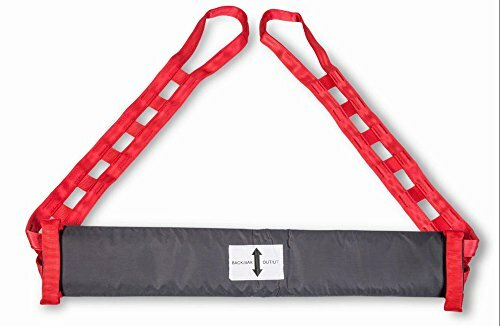 Raiser Strap for Molift Raiser Size Large/XL by Molift at Get Cheap Health Insurance. Hurry! Limited time offer. Offer valid only while supplies last. Provides Support around the back and hips when standing up. Intended for use with the Molift Stander. This strap includes the sliding function. Provides Support around the back and hips when standing up. Intended for use with the Molift Stander. This strap includes the sliding function. Restocking fees may apply for returns. Used mobility equipment is non-returnable. If you have any questions about this product by Molift, contact us by completing and submitting the form below. If you are looking for a specif part number, please include it with your message. MTS Medical Supply 6040 Safety sure Leg Up, 1 lb. Drop Support Harness - Aiding in Patient Fall Prevention & Balance & Stability. for Epilepsy, Parkinson's, Elderly Care and More. Beneficial for PT/OT's. Increasing Patient Safety Over gait Belts.